I wish Maisie Williams were the Doctor’s companion. Wasn’t she superb in this episode? The chemistry between her and Peter Capaldi was superb, much better than that between him and Jenna Coleman these days -which I guess it is something they are forcing now that she is leaving the show. Because Clara’s absence in ‘The Woman Who Loved’ was a positive thing when it came to developing the relationship between the Doctor and Ashildr -who goes by the name “Me” by 1651. In fact, I am ashamed to say that, by the time the primary school teacher returned to the TARDIS at the end of the episode, I realised I hadn’t missed her once. 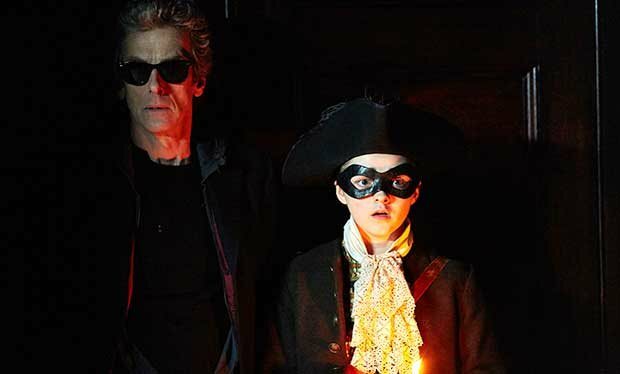 The plot of the episode picks up 800 years after the events from ‘The Girl Who Died’, and after a funny introduction in which the Doctor discovers that the girl she saved spends her nights living as a highwayman, another thing is revealed to him: Ashildr has forgotten most of her past and doesn’t really value human life, which of course unnerves the Doctor. 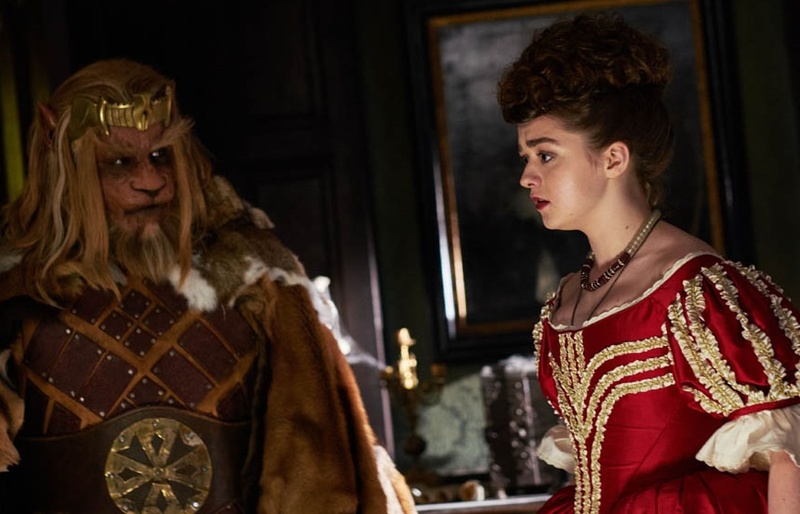 There is also some plot that has to do with the Cowardly Lion from The Wizard of Oz, but I think that what matters most, apart from the interactions between the Doctor and Ashildr, is the resolution: she decides, after unsuccessfully asking the Doctor to take her with him, that it is her “destiny” to stay on Earth taking care of the people he leaves behind. After they bid farewell, the Doctor sees her in the background of a photo Clara has taken on her phone. Premonitory? Of course it is. Next week we will have a return of sorts to the 50th anniversary! Zygons, Osgood, Kate Stewart! And another The Thick of It reunion! -I love it whenever they mention past companions, and the thought of Ashildr going on an adventure with Captain Jack Harness makes me wish someone would write a novel or a Big Finish story about it. -Maisie Williams’s acting in this episode was absolutely mind-blowing. The way she behaved like someone as old as her character was would. And again, how great were she and Capaldi together? I cannot stress that enough. -By the way, so that you see that it is premonitory: this afternoon, writer Sarah Dollard confirmed that Williams will appear in episode 10. -I love continuity, so it’s good to see that the Doctor is still against banter. -Another bonus point for continuity: Ashildr says she might be the cause of the Great Fire of London, but the Doctor knows that she definitely isn’t -it was the Terileptils! -I had no idea who Rufus Hound was until today, but I thought he was great. I wouldn’t mind seeing his character pop up again. Oh, and Moffat said this afternoon that he is apparently a massive Doctor Who fan, which always makes me like people more. I liked it..it seemed like a throwback to the RTD era(not a bad thing). 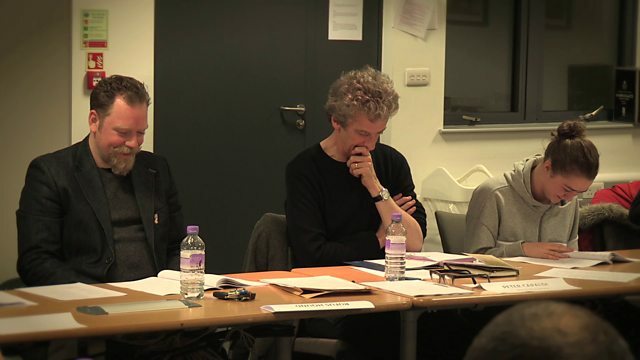 I do wonder if Maise will be the companion next year. They certainly are giving enough hints. This episode was all about Maisie Williams breaking out of her Arya character, which she didn’t do at all in part 1. She certainly did here. I would love having a new immortal companion for the Doctor. He wouldn’t have to struggle so much with his concerns of putting his companion in harm’s way. Of course, all of that is probably just preparation for Clara’s departure. LOL Oh? I thought he was a refugee from the Broadway version of The Lion King.